Basmati rice cooked with lamb, nuts and spices. 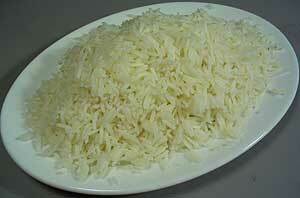 Indian Basmati rice cooked with diced chicken, nuts and spices. Basmati rice cooked with prawns, nuts and spices. 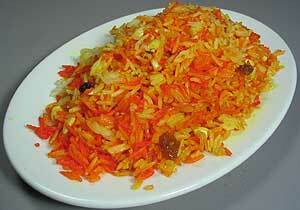 Indian Basmati rice with saffron. 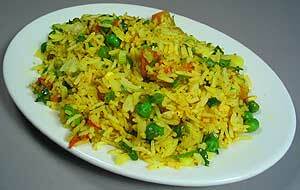 Basmati rice with peas, tomatoes and spices. Plain Indian Basmati rice or whole grain brown rice.